2018 fellow, "What's Next In Food and Agriculture?" Curator of the Museum of History and Industry's "Edible City," a museum exhibit on Seattle and food, on public display 2016-2017. James Beard Award, 2009: Newspaper Feature Writing with Recipes. 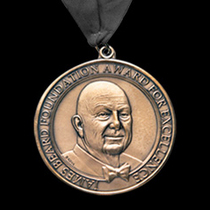 James Beard Award, 2007: Best Newspaper or Magazine Restaurant Review or Critique. Association of Food Journalists 2009, first place winner for best food coverage on the Internet. 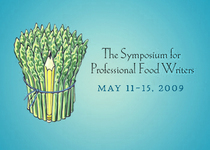 Association of Food Journalists 2008, first place winner for feature writing about food. KUOW's The Record: Cinnabon, oysters, and an 'inferiority complex': behold Seattle's food history. KUOW's The Record: What's Fresh At The Farmer's Market This Week? KUOW's Weekday: Cooking Round the Table with Local Food Bloggers. KUOW Presents: You Need Bread, Whether You Knead it Or Not. Founded the Seattle Post-Intelligencer's food blog and generated all posts, using analytics to guide coverage. Devouring Seattle became one of the newspaper's best-read blogs. 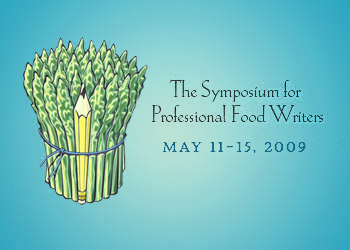 Greenbrier Symposium for Professional Food Writers scholarship winner: Edible Communities Scholarship. An award-winning project funded by an Education Writers Association research fellowship. The main story is at the link below, and the supporting articles are archived. Regular contributor to The Seattle Times, including the daily paper and the Sunday magazine, focusing on food, restaurants, and farming. I also write food and travel pieces for The Washington Post and book reviews for The Christian Science Monitor. Contributor to many online and print news sites, including Sunset magazine, Allrecipes.com, and Anthony Bourdain's "Parts Unknown." My work includes reporting on food, agriculture, sustainability, books, health, parenting, and other topics of general interest. Chief food writer and restaurant critic at The Seattle Post-Intelligencer (2003-2009). Established “Devouring Seattle,” one of the newspaper’s best-read blogs. Earlier, my beats included education, features, and government, from daily deadlines to lengthy projects on the death penalty and on racial disparities in school discipline. Editorial contributor to "Modernist Cuisine," the 2,400-page opus that has been called the most astonishing cookbook of our time. I was also a writer/editor on the follow-up cookbook set "Modernist Bread: The Art And Science." Cookbook ghostwriter, providing editorial material, essays, and headnotes, as well as reworking recipes to match the publisher's style guidelines. Editorial contributor to the Zagat Seattle guide and the Fodor's guidebooks to Seattle and the Pacific Northwest. Local editor for two Google Maps projects. Freelance writer for Amazon.com's food blog, generating daily content and photos and coding to Amazon's standards. Created and wrote all content for a regular e-mail newsletter on food and families for Seattle's Child magazine. 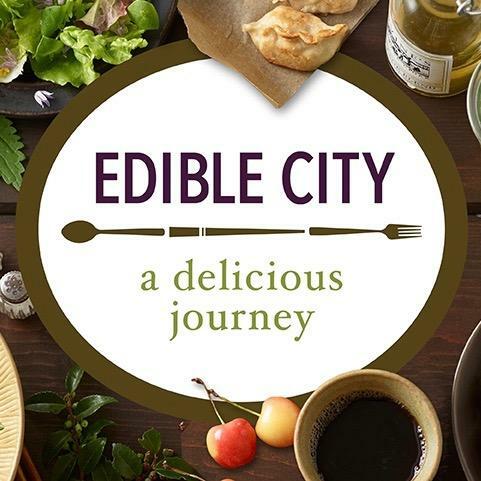 Curated "Edible City," a comprehensive 5,000-square-foot exhibit on Seattle and food at the Museum of History and Industry. I also developed and wrote the book accompanying the exhibit. Social media influencer @rebekahdenn. Established the "EatAllAboutIt" YouTube video channel, attracting nearly 4 million hits on the site's top video. James Beard Award: Newspaper Feature Writing with Recipes. James Beard Award: Best Newspaper or Magazine Restaurant Review or Critique. Association of Food Journalists: First place awards for Best Food Coverage on the Internet and Feature Writing About Food. James Aronson Award for Social Justice, awarded by Hunter College. Emery Brownell Award for Excellence in Reporting on Equal Justice Issues, awarded by the National Legal Aid & Defender Association. Thurgood Marshall Journalism Award from the Death Penalty Information Center. Education Writers Association research fellowship and national award for investigative reporting. Smithsonian Food History Weekend panel moderator, at the National Museum of American History, 2018. Author interviews including an on-stage "Evening With Yotam Ottolenghi and Helen Goh" at the 520-seat SIFF Cinema Egyptian, Seattle, 2017. Panel moderator at MOHAI's "Eating Up Seattle: How A City Found Its Own Cuisine," Seattle, 2016. Panel moderator at Association of Food Journalists annual conference, Seattle, 2016. Panel moderator at International Association of Culinary Professionals conference, Chicago, 2014. Guest appearances on KUOW radio on the locally produced NPR programs "KUOW Presents" and "Sound Focus." Obsessive checking of social media feeds. Backpacking -- I once spent six weeks traveling the John Muir Trail with my husband. I am an avid reader, with a special interest in children's books, cookbooks, graphic novels, and general non-fiction. I obtained advance copies of the Harry Potter books, despite a well-publicized attempt to keep the books under lock and key, in order to publish reviews on the appropriate release dates. I once jumped out of an airplane at 12,000 feet, but did have a parachute. David McCumber, Managing Editor, Seattle Post-Intelligencer. This is to recommend P-I Food Editor (and writer!) Rebekah Denn. Rebekah is an absolutely fabulous food writer -- I believe her to be one of the very best in the country. First and foremost, she's a great journalist. Before following her passion for food, she had great success as a news reporter. She started her nearly 11 years at the P-I on the Metro staff, where she covered education brilliantly, carving out time and energy to do significant enterprise stories even as she juggled the daily demands of editors and school board meetings. Rebekah produced a memorable, groundbreaking series of stories on the racial disparities in disciplinary procedures in the Seattle schools that, five years later, remains one of the richest, most thoughtful enterprise reporting packages the P-I has produced. Her work on food has been equally spectacular. She has a large and devoted following within the P-I's readership -- as significant a following as anyone has at the paper. She has adapted very well to the demands of digital reporting, and as food editor she has helped to plan all kinds of food content, including the popular daily recipes on the P-I's Going Out/Staying In page. I would unhesitatingly recommend Rebekah for any writing or food-related job in which she might be interested. She has my respect and gratitude for a job well done, and I'd love to work with her again someday. Colin Powers, Life and Arts Editor, Seattle Post-Intelligencer. What a writer! What a passion for food! And, with the dying print product, she has thoroughly embraced the Web. Her P-I and personal blogs show that she’s not solely writing for an audience; she’s leading a conversation among food lovers. Her copy is sparkling, her attitude genial and collaborative. What I don’t attest to, the plethora of awards surely do. (March 25, 2009). Contact information or further references available on request.